Tyler Perry’s upcoming comedy Boo! A Madea Halloween kicked off its advertising campaign with a teaser poster that was a direct parody of the classic poster for John Carpenter’s Halloween and then followed it up with an homage to the original 1973 poster for The Exorcist., and with film hitting theaters in less than week, a final trailer has just been released in the style of a vintage slasher preview from the ’80s, complete with a grainy VHS look, era-appropriate Lions Gate logos, and an old school “full screen” square aspect ratio, and it’s awesome. 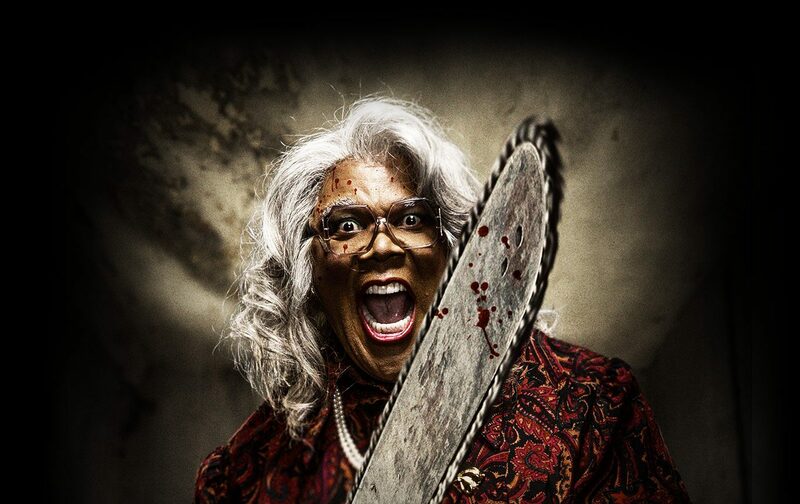 Tyler Perry wrote, produced, directed, and stars in the film, which originated from Perry and Chris Rock including a fictitious Madea Halloween movie in Rock’s 2014 film Top Five. Lionsgate then approached Perry and suggested that they actually make the movie a reality. Boo! A Madea Halloween, the ninth film in Perry’s Madea franchise, will see Madea spending Halloween fending off killers, paranormal poltergeists, ghosts, ghouls, and zombies while keeping a watchful eye on a group of misbehaving teens. The film also stars Bella Thorne (MTV’s Scream: The TV Series), Cassi Davis, Patrice Lovely, Andre Hall, Yousef Erakat, Lexy Panterra, Diamond White, Liza Koshy, Brock O’Hurn, Jimmy Tatro, JC Caylen, Kian Lawley and Mike Tornabene. Lionsgate will release Boo! A Madea Halloween on October 21. Check out the new throwback trailer below, and then scroll down for the posters inspired by classic horror movies!